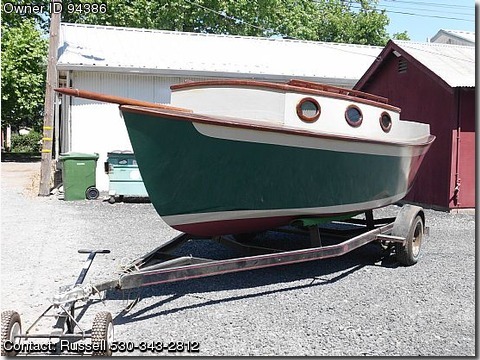 Call Boat Owner Russell 530-343-2812. Description: Custom built from Glen L blueprints with Brazillian Cedar decking, retractable centerboard, Mahogany hull sustructure, mainsail, and a restorable antique outboard engine. Newly constructed just needing mast, boom, rudder, and rigging kit for completion.